Pollpub is an ajax based voting site. 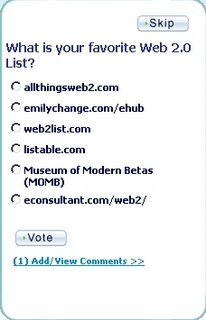 You can create your own free polls and contests, and post free public polls and view opinions from around the world, or post a private poll and select who views and who votes. Pollpub also lets you add polls and run contests from your blog, or website.